And we know books—both what’s inside them and how to move them. Whether you need 25 books delivered at a specific place and time, 2000 books delivered to hundreds of different individuals over time, want your book customized, or just want to know what book to read next, you can trust our expertise. 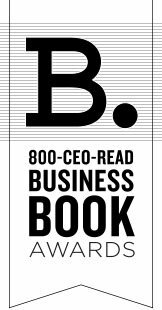 After all, we’ve been in the business of business books for 30 years and literally wrote the book on The 100 Best Business Books of All Time. So… how can we help you?